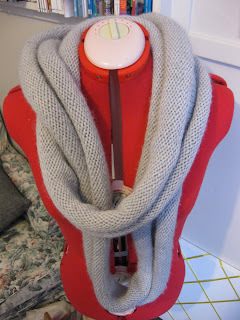 Yonks ago, when I was first playing with 12 ply, I knit up this infinity cowl as a product knit – something I wanted, so just made it up as I went along. It’s picked up ‘the coffee cowl’ name as a lady spilled her coffee on it at the June Craft2.0, apologised profusely, and it honestly wasn’t a big deal. It’s the perfect cowl to throw on for those ‘not quite sure’ days, when the weather looks like it could be promising, but the it could also turn hideous. 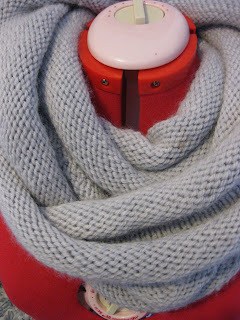 Wrap it up nice and tight for the chilly days, and hang it loose for the warmer ones. Cast on about 350 stitches, or until you get *really* bored. Row 1: Knit, and join in the round at the end of the row, being sure not to twist the stitches. Although if you do, it won’t be the end of the world. 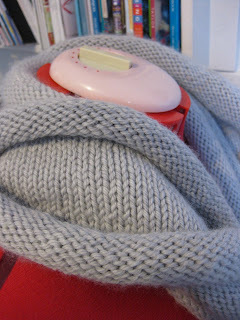 Knit ad infinitum, round and round, until all your yarn is used up. Weave in ends, and wear. Hooray! Easy as that. 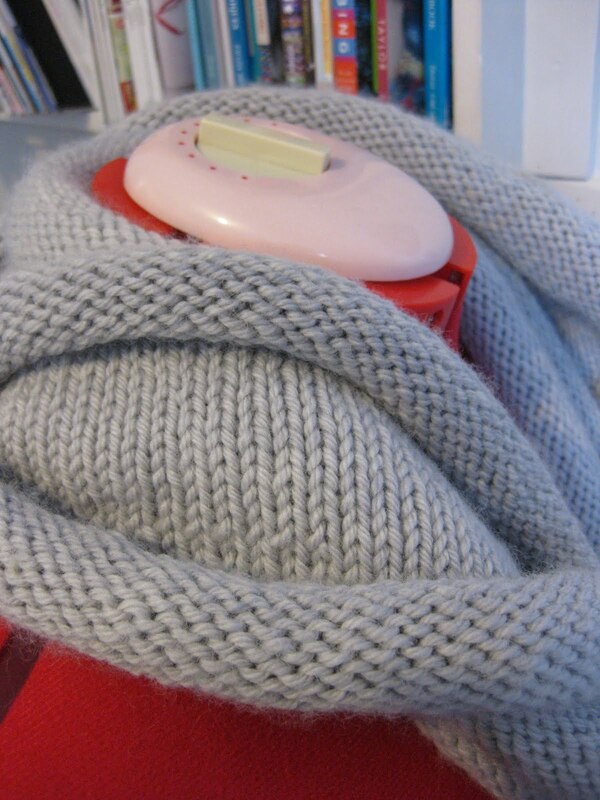 A great in front of the tv, don’t have to think too much knit.